You guyyyyyys. 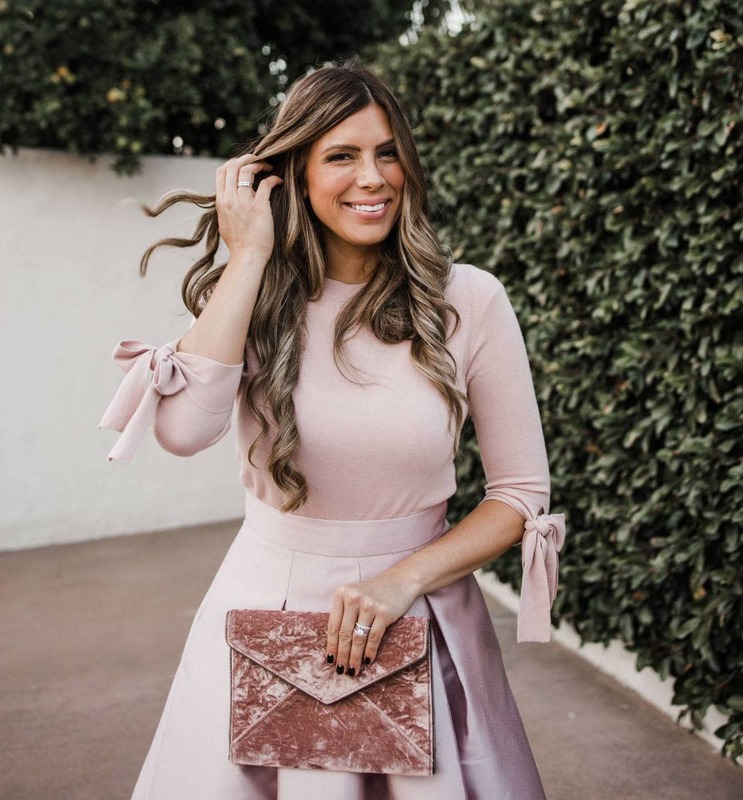 I am so excited and so honored to feature an EXCLUSIVE half off deal for the fourth year in a row, and so thrilled as well to finally launch our beautiful CUSTOM winter white PMD with rose gold lettering!!! I am so thankful that PMD has allowed us to continue the tradition of having the very BEST deal on the internet for the PMD with our HALF OFF SITE-WIDE CODE. 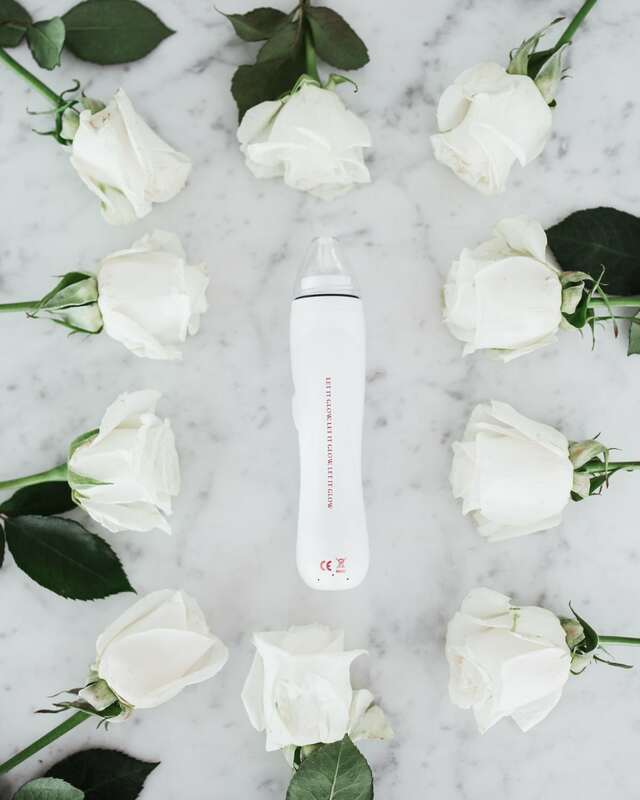 This award-winning, at-home microdermabrasion tool is sold in all major high-end beauty retailers (like Nordstorm, Neimans and Sephora) and it's my secret weapon for amazing skin. You literally will NOT find the PMD at any other time or place for this amazing of a deal. Now through Monday 11/26 you'll get 50% off site-wide at PMD when you use the code White50 at checkout! This discount can be used on anything site-wide from PMD, including our Custom Winter White Mint Arrow PMD Pro, or our Mint Arrow Winter White PMD Pro Kit where you'll get $36 off with the bundle value with my favorite replacement discs and recovery masks, PLUS 50% off with code White50. We expect this custom PMD to sell out very fast, since last year's Black Friday custom PMD sold out by Cyber Monday, and our Mother's Day custom PMD sold out in 4 hours! The half off discount code will work SITE-WIDE though so even if the custom PMD sells out, you can still get another color of the PMD for half off! *UPDATE 11/23: we just got word from PMD that we've sold out of half of the custom PMDs within the first 30 minutes of the sale going live. We also heard a lot of people were having issues with PMD's site crashing, but it's back up now and working so if you had issues earlier, try again!! *UPDATE 11/24: our custom PMD sold out in 2.5 hours (THANK YOU everyone who supported the launch!!!) but you can STILL use our half off code for any of the other PMDs or anything site-wide from PMD. Now let's talk a little about the custom winter white Mint Arrow PMD! This is our third custom PMD (see our 2017 Black Friday custom Mint Arrow PMD here, and our 2018 Mother's Day Mint Arrow PMD here) and for this year's custom collaboration, I really wanted something that would be so pretty and neutral and I envisioned it looking so beautiful on anyone's bathroom counter. When I opened it up for the first time I literally gasped because it was just SO pretty! On the one side of the custom PMD, my Mint Arrow logo is printed (every time I see this I'm like WHAT! Pinch me haha) and other side of the PMD we designed it to say “let it glow, let it glow, let it glow” for a fun little nod toward the holiday season and glowing skin, but we also wanted it to be something cute enough to see on your counter all year long. Okay, let's do a little Q&A! Every time I talk about this device and the deal I'm offering a get tons of questions about what it does, how to use it, etc. Here's my master guide for incorporating the PMD into your regular beauty routine! What is a PMD? What can I use it for? The PMD is a personal microdermabrasion tool that allows you to get spa-quality skin treatments at home. This gives you the best skin of your life at a fraction of the price that you'd pay for regular spa visits! These at-home microdermabrasion treatments take off a layer of dead skin and help reduce fine lines, wrinkles, redness, even cellulite! They fade sun spots and acne scarring, making your skin NOTICEABLY clearer, smoother and more beautiful with each use. It’s honestly a secret weapon tool for anti-aging and making your skin look 10x better than it did before you knew it existed. How do you use it and is it hard to figure out? Follow the directions on this page and you can’t go wrong! It’s so super easy to use even on your first time, I promise. They also include a little dummy disc for you to give it a test run before your first real treatment. Does it hurt? Nope! Maybe a little tingle, but it definitely isn't painful. Can I use it on other parts of my body other than just my face? YES! One of the reasons I love the PMD so much is because it literally was the only thing that finally got rid of my keratosis pilaris. I moisturize on my arms daily with coconut oil and then once a week, with clean dry skin, I use the larger attachment and do a PMD treatment on my arms. I saw DRAMATIC improvements in just a couple weeks! I also love using the body attachment to exfoliate before a spray tan or self tanner. Trust me, your tan really will last SO MUCH LONGER. How often should you change your discs? They suggest after every 3-4 uses, but you can stretch it out to every 5-6. That said, the PMD definitely works best when the discs are fresh! As I've gotten better about keeping my discs fresh I definitely notice a difference in the effectiveness of my treatments. And YES the discs are included in the half off deal. Which discs do you use? I started out using the dummy disc as instructed for practice, then each week moved my way up until I felt comfortable using the green disc. After a couple of years I finally felt safe trying the red disc and I LOVE the results I get from that, but please proceed with caution! If you follow the instructions from PMD you'll get optimal results without damaging your skin. My mom has very sensitive skin and uses the sensitive disc (blue) and gets amazing results, while not irritating her skin by using a disc that doesn't work for her. 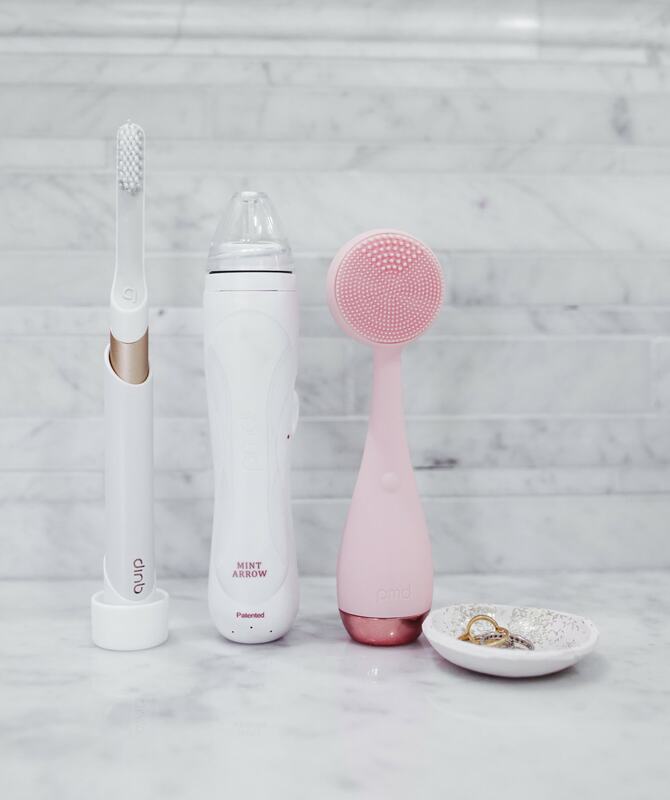 Is the PMD the same thing as a Clarisonic? Nope! They do completely different things. The Clarisonic cleanses your face daily, while the PMD performs microdermabrasion treatments only weekly. 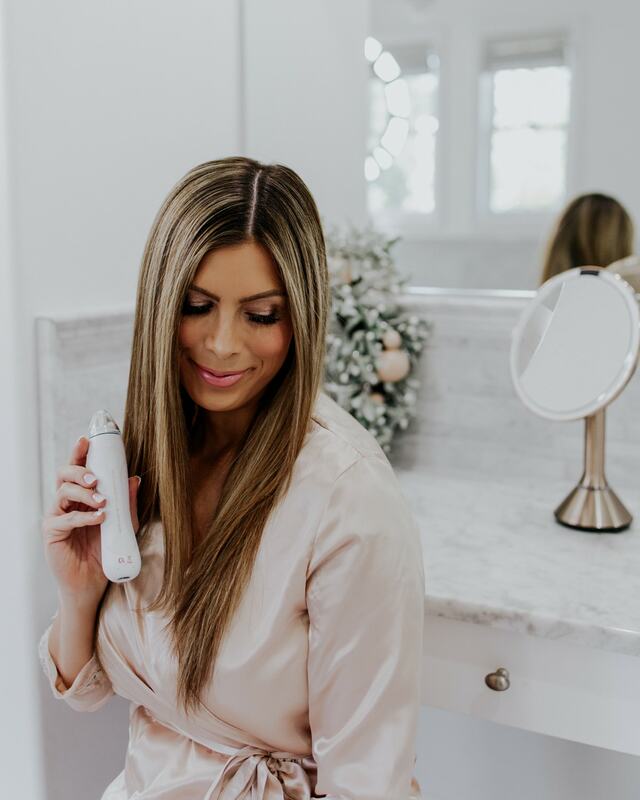 You'll get your makeup off more efficiently with a Clarisonic, but you'll see dramatic differences in your skin when you properly use the PMD Personal Microderm. But if you're looking for something to cleanse your face I actually LOVE the PMD Clean, and you can get it HALF OFF with our code too!! The amazing thing about the PMD Clean is that it's made with medical grade silicone and with over 7,000 vibrations per minute, it lifts, firms and tones as you clean! You can also use the back side for facial massage as you apply serums and moisturizers. And it only requires one AA battery. I already have a PMD and I LOVE it. Should I get the skincare? I really do like the skincare, but what I LOVE is their anti-aging collagen infused recovery mask! It’s just an intensely moisturizing recovery treatment that your skin needs after taking off that dead layer. It also kind of doubles up on improving the appearance of your skin since it also minimizes the appearance of fine lines, wrinkles, and dark spots with its collagen formula. I can’t recommend it enough! This is the lowest price you'll see ALL YEAR LONG for the PMD Personal Microderm. Right here, exclusively, just for you! Seriously, you won't find it cheaper anywhere else. Guaranteed. Right now through Cyber Monday, you can get the PMD plus any skincare products you need at half off using my exclusive code White50. You will not see a better deal ANYWHERE on the internet from anyone else for Black Friday or Cyber Monday. While I genuinely hope you use this deal to spoil yourself, it also makes an amazing gift for anyone on your list from a mother to grandmother to sister to school teacher. It's the gift that has completely changed my skin for the better and I wish I could hand one to every woman on the planet. SO excited for all of you to get your hands on a PMD half off!!! I was hoping this deal would happen again this year!! So excited to try a pmd. Thanks for sharing! I use a Clarisonic brush to cleanse my face. I’ve loved it for years (almost 10! ), but I am tired of the expense of a new deep clean brush head every 3 months. 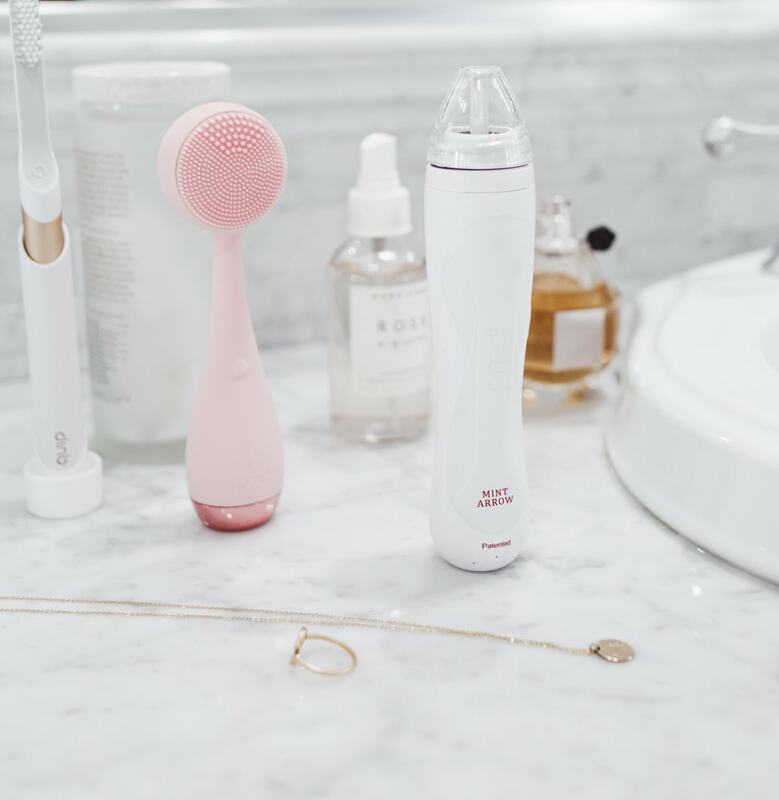 Do you think the PMD Cleanse is comparable to the Clarisonic? I also like that the PMD is silicone and I wouldn’t have to worry about anything growing on it. What do you think? 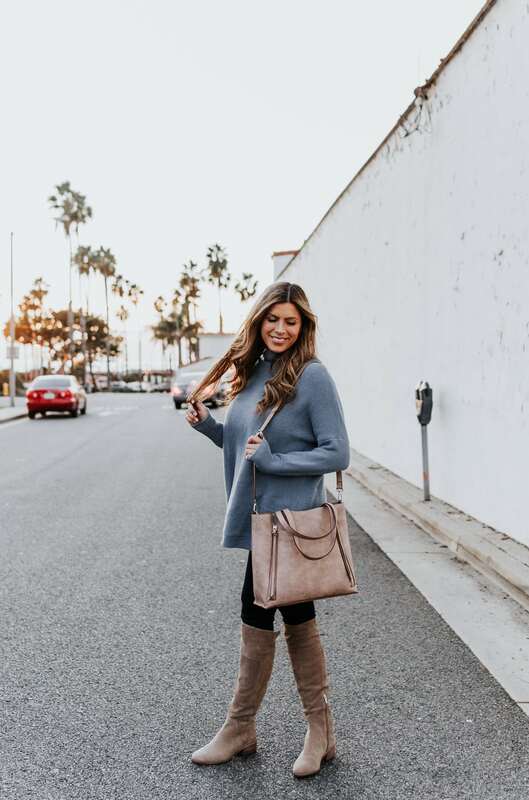 Nordstrom’s Black Friday sale: a RARE EXTRA DEAL you can’t miss!